Adam Putnam goes hyper-local. Is this any way to win the Florida governor’s race? Putnam's gubernatorial campaign has recently led him to Port St. Joe, Temple Terrace, Fleming Island, Marianna and Tuesday night in Brooker, a hamlet in Bradford County, population 332. PORT ST. JOE — It's called "the forgotten coast" for a reason. The stretch of coastline from Apalachicola to Mexico Beach is picturesque and steeped in history, including a recent span of lost jobs and population, and boarded-up businesses and dated storefronts reveal severe economic hardship. 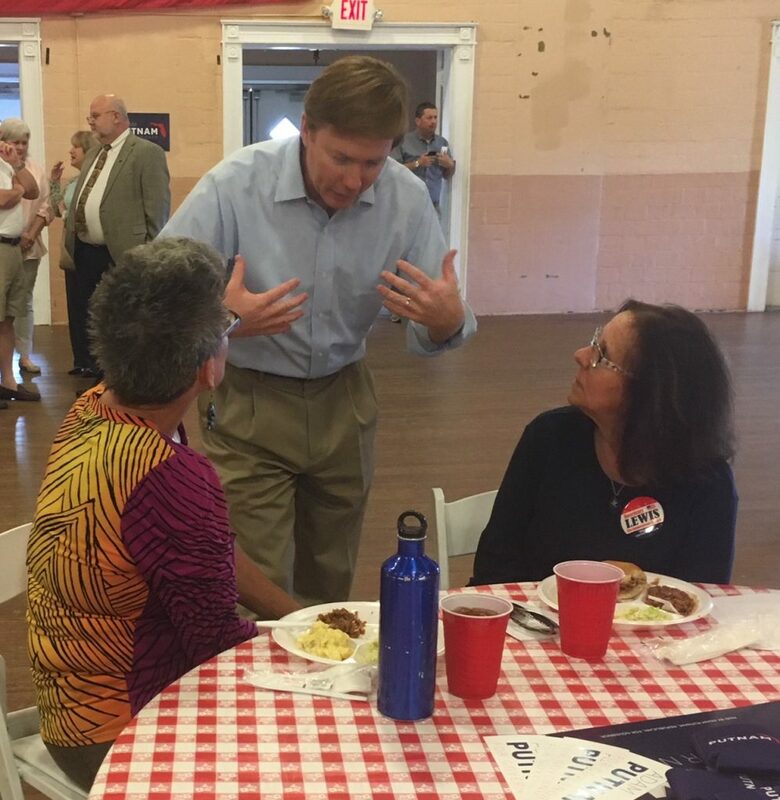 Nearly 100 people came to a historic building in the once-booming fishing village of Port St. Joe, the still-celebrated birthplace of the state's original 1838 Constitution, for a barbecue supper and an earnest pitch from Adam Putnam, Florida's agriculture commissioner and a leading Republican candidate for governor. Adam Putnam's family citrus business violated federal labor laws. 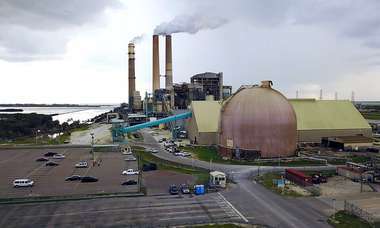 Abandoned long ago by the St. Joe Co. and its once-thriving paper mill, Gulf County is one of 36 Florida counties that has fewer jobs today than a decade ago. The county has fewer than 10,000 voters, making it smaller than some precincts in Tampa or Hialeah. But no town is too small for Putnam. "Grass roots is the foundation of my campaign," Putnam told the crowd Monday. "This is what our founders intended. Not for candidates who are too good to come to small towns." In case his audience didn't catch the obvious reference to his Republican rival, U.S. Rep. Ron DeSantis, Putnam warns: "Do not let them dial it in from an out-of-state TV studio, but be here, to listen." Listen they did, as Putnam talked of expanding vocational education, ensuring a water supply, gun rights, civics in schools and supporting veterans. "Adam Putnam is kind of like Lawton Chiles," said Gene Raffield, a commercial fisherman in Port St. Joe, referring to Florida's last Democratic governor, who died in 1998. "He makes the effort at going down dirt roads to meet people." The contrast between Putnam's campaign and that of DeSantis could not be more striking. Since DeSantis declared his candidacy on Jan. 5, he has made 57 TV appearances on Fox News and the Fox Business Network, discussing the anti-U.S. attacks at Benghazi, James Comey's FBI memos, illegal immigration, Russian collusion and other issues, with few if any references to Florida, even as he sat in a studio with the Jacksonville skyline behind him. During that same period, Putnam was rarely seen on TV. Instead, he was holding barbecues or breakfasts in Temple Terrace, Fleming Island, Marianna and Tuesday night in Brooker, a hamlet in Bradford County, population 332. Today he'll be in Plant City. Putnam's pitch is largely biographical, with a heavy emphasis on creating jobs for young people who don't have four-year college degrees. But it’s telling that he says nothing about his decade-long tenure in Congress, a highly unpopular institution, or that he was first elected to the Legislature at age 22, in 1996. What Putnam describes as his "public service experience," DeSantis calls the resume of a career politician. "All the special interest money in the world can't buy enough over-produced political rallies or focus group-tested Columbia shirts to hide his record as a career politician," said a DeSantis spokesman, David Vasquez. In a 30-minute stump speech in Port St. Joe, Putnam mentioned gator hunts, liberal campaign donor George Soros, the need for working waterfronts and his wife Melissa's childhood as an Air Force brat. But he made not one mention of President Donald Trump. If DeSantis is doing grass roots outreach, it's a secret, because his campaign rarely tells the news media what he's doing. In the past two weeks, DeSantis campaigned in Windermere, Fort Myers and Palm City and attended Lincoln Day GOP dinners in Hernando and Martin counties, his campaign said. 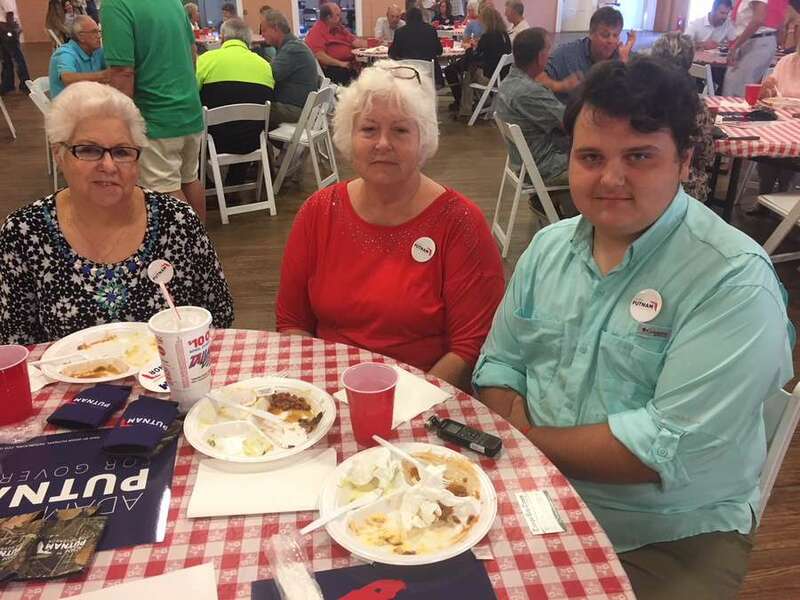 Joanne Neshat of Eastpoint, a retired nurse who attended the Port St. Joe event is, like many Panhandle voters, a registered Democrat who votes Republican. "The Democrats have lost their minds," she said. In this age of saturation TV advertising, it possible that Putnam's strategy is a blunder? The last statewide candidate who took a similar approach to Putnam was Marco Rubio, who won a U.S. Senate seat in 2010. Rubio paid homage to obscure Republican clubs, began winning straw polls of 50 or 100 voters at a time and quickly gained momentum. Rick Scott won two races for governor largely by airing TV commercials, but he traveled the state in a motor home emblazoned with campaign signs. Standing in front of huge Florida and American flags, Putnam mocked the Florida Democratic Party, which criticized him for staging "endless barbecues" across the state. "We'll keep turning up like a bad penny," Putnam said.